On March 21, 2019 my beloved wife, Doris, age 94 went to see “her Lord”. Doris was born on Thanksgiving Day in 1924. She was a devoted wife and mother. She enjoyed many crafts and her outdoor gardens. 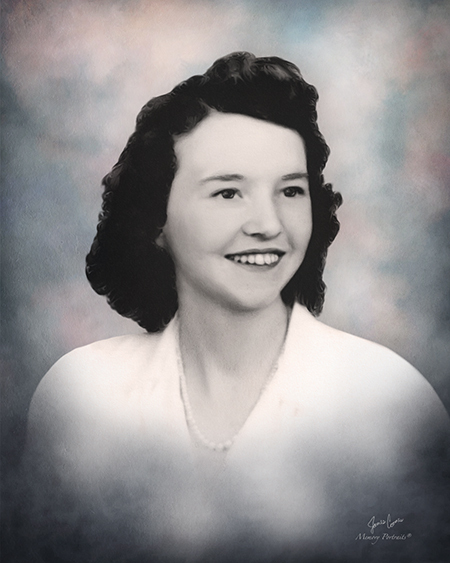 She was a graduate of Jamestown High School in 1942. Doris was married to George W. Duncan on September 25, 1942, and was married for 76 years. In addition to her husband, she leaves behind her son Dale Duncan (Kathy) of Jacksonville, Florida; daughter Lyn Moon (Perry) of Greensboro; granddaughters Ashley Lowe (Jason) of Randleman, Lindsey Lawson (Jason) of State Rd. ; great-grandchildren Savannah , Seth, and Summer Lowe, Oliver, Amos, and Salem Lawson. A funeral service will be held 2:00 pm Sunday at Rehobeth United Methodist Church. Burial will follow at Guilford Memorial Park. The family will receive friends from 1:00pm-2:00pm at the church. In lieu of flowers, memorials may be directed to Hospice of the Piedmont, 1803 Westchester Dr. High Point, NC 27264.